Pink to Green: Pregnancy Favorites + A Prenatal Yoga Giveaway! 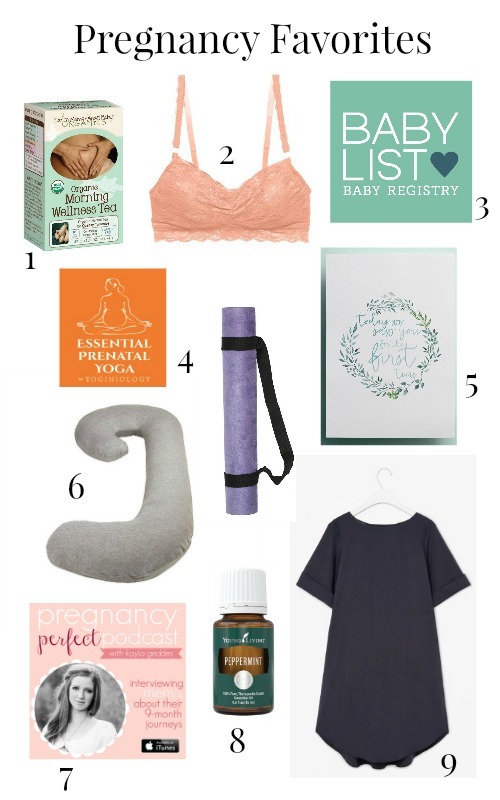 Pregnancy Favorites + A Prenatal Yoga Giveaway! I'm a few weeks into the third trimester and feel like pregnancy stuck up on me. One day I woke up and my belly had seemingly grown exponentially. And even though this is the second time, I think I had forgotten that "oh-I'm-so-pregnant" feeling. Funny how that happens! This weekend I'll be celebrating baby boy with some family and friends and I feel so thankful to have made friends in Canada who have supported me so much during this pregnancy. Being pregnant is such a beautiful and wonderful experience, but not without it's massive challenges. I know it's cliche, but having the support of a community of mamas far and wide has been what has helped me most (hello calling my own Mom everyday). That being said, I've also found that the little things really can go a long way in making the nine month marathon most enjoyable. 1) Tea has been one of my biggest pregnancies biggest indulgences. A good rooibos, peppermint or this Wellness Tea are in heavy rotation. I especially love this one because it is good throughout the day (despite the name) and very soothing. 2) I wish I would have known about this bra from Cosabella the first time around. The investment is worth it for a bra that is comfortable, pretty and wearable while pregnant and nursing. If is so nice to not feel like you're sacrificing your femininity for function. It's so comfortable, I've slept in mine on many occasions. 3) BabyList is one of my favorite discoveries for curating a baby registery/wish list. BabyList allows you to pull items from any website and even ask for things like home cooked meals. It is easy to use, has great guides and I was pleased that it allowed me to add things from both US and Canadian sites. 4) Prenatal yoga was a wonderful part of my first pregnancy, but this time around, I struggled to find a class/studio offering prenatal at a time that worked for me. I tried a few youtube videos and DVD's but didn't find anything I loved until I was introduced to Julie at Yoginology. 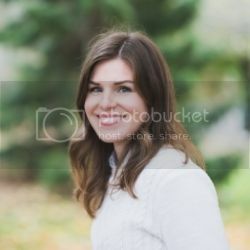 She has created an online community for expecting mothers and a course of downloadable prenatal yoga classes that I just love. Her teaching style and personality make you feel so supported even over a video. You can pick from 10 minute, 30 minute or 60 minute sessions and you can even download the classes to have access while you're traveling etc. I wish I would have known about it sooner as they have been immensely beneficial to me in the past couple of weeks. If you're interested in winning a membership to the prenatal yoga classes and community, be sure to follow me on Instagram for a giveaway! 5) I have tried to document this pregnancy as well as I did my first and these pregnancy milestone cards from Made By Joy have been one of my favorite keepsakes in doing so. 6) Thank goodness for my snoogle. Worth every single penny. I was skeptical, but after sleeping without it last pregnancy, I can confidently say that this investment changed the comfort of my pregnancy more than anything else. A comfortable, supported night sleep is such a game changer. 7) At the beginning of my pregnancy when I still wasn't telling everyone, I especially enjoyed listening to the Pregnancy Perfect podcast. It's inspiring and interesting to hear so many different women's stories of labor, delivery and motherhood. 8) Peppermint essential oil was another one of those little things with big impact. I found it to be one of the most useful remedies for morning sickness. 9) Finding pretty maternity clothes can be a chore. I fell in love with COS before I was pregnant, but was delighted to find that many of their clothes are easily bump adaptable. It's a wonderful place to look for non-maternity but bump-friendly dresses, like this one. I love that you can wear them after baby too. 10) Practicing self care is one of the biggest challenges as a mother to a toddler. I find myself running around and being exhausted so much more this pregnancy. Weather it's a nap in the afternoon or treating myself to a pedicure once and a while, taking time out for myself has been so important. For friends who are local to the GTA, I wanted to share that my most favorite way to treat myself is by visiting La Fleur De France in Oakville. It is by far the best spa experience I've had; Dalila and her sister made me feel so special and pampered, not to mention that they are so knowledgable about natural skin care and ingredients to avoid while pregnant. The facial I had there truly made my skin glow.